According to Lenovo, the companies will offer productivity on the go without compromising on aesthetic, smart devices already delivering the multi-sensory PC and tablet experience. 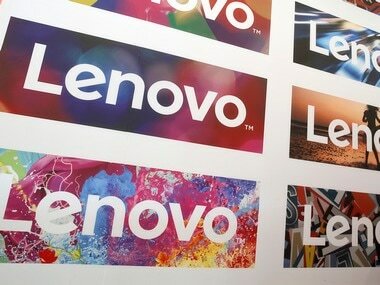 While 2017 witnessed debates around disruptive technologies like Artificial Intelligence (AI) and Internet of Things (IoT), 2018 will see these conversations materialise into concrete steps and existing technologies experience a make-over, a top Lenovo India executive said on 7 January. "Artificial Intelligence (AI) and chatbots are becoming increasingly important and are something that brands and companies worldwide will use to enhance customer experience," Rajesh Thadani, Executive Director and Head, Consumer Business and E-commerce, Lenovo India, told IANS. AI capabilities have been made possible by the massive proliferation of data and computing power. "We will see AI inspire how products are designed and the technology will be infused in the products for customer's benefits this year," Thadani added. According to Nielsen's data, by 2030, 1.2 billion Indians are expected to own a smartphone, increasing internet penetration almost 4.5 times where 90 percent of the content consumption will be through mobile devices. "Millennials and urban Indians will expect nothing less than intuitive, high-performance yet aesthetically pleasing devices that deliver experiences beyond the user interface — be it for work or play," the Lenovo executive said. According to Lenovo, the companies will offer productivity on the go without compromising on aesthetic, smart devices already delivering the multi-sensory PC and tablet experience, especially through devices that deliver the value that go beyond the traditional form factor. The advent of smart assistants and rapid adoption of IoT has opened the door to many opportunities for greater integration between devices. "The industry is pointing towards the inevitable smart home, fitted with technologies that will enable users to conduct web searches, play music, create lists and provide calendar updates with just a simple voice command," Thadani added.